Following the release of the stunning singles Hold On and Somewhere New, London-based indie-pop trio CAEZAR are back with their brand new single Take Me There, the latest single to be lifted from their much-anticipated debut EP, HAIL!, set to arrive on November 30th via RG Records. 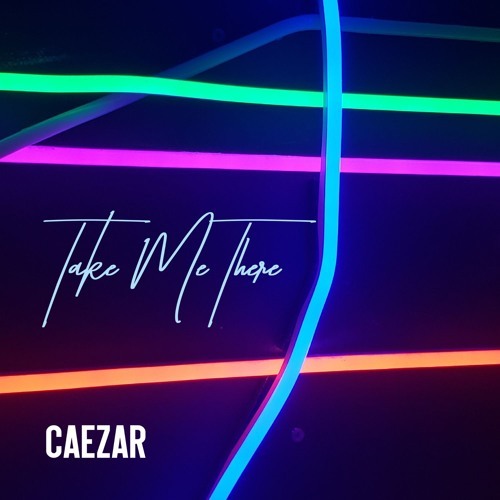 This new single is a lovely indie-pop ballad on which both Chris and Zoe showcase their soaring harmonies in the infectious chorus and I am loving it. Unlike its predecessors, this is a slower, smoother song with an introspective atmosphere which is right up my alley. It's one of those songs that you play during a cold weekend at home and that gets you thinking about life. Loving the drums and the soaring guitar riffs which gives the song an extra dose of energy and growth. As always Chris showcases an impeccable vocal range and add so much soul to the song that I can't stop playing it. Stream it below! A recurring theme throughout this EP is 'movement'. Whether it's excitement, remorse or anticipation - Take Me There is the final expression of this movement - the longing for escape. It's easy to become faded by the weight of day-to-day life, so we wanted to write about the inspiration and hope of striving for something better. The vocal samples and irregular dream beat provides a haunting melody which acts as the perfect crescendo for this journey and for this EP.